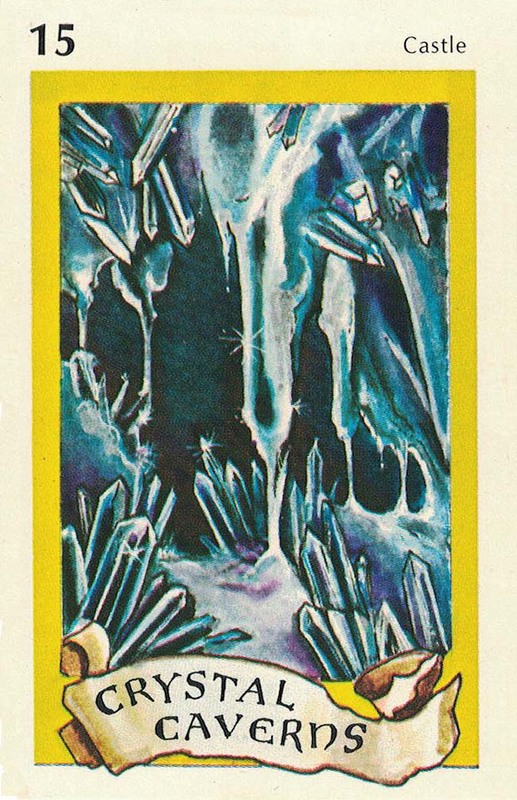 The “Crystal Caverns” Castle Card from Jasmine: The Battle for the Mid-Realm collector card game. True to his word, the little old man was filled with information. Ahearn spent several hours conversing with him. For someone who did not get out to socialize very much, the little man was charming and affable. Ahearn came to understand that Bardulf was still somewhere within the cave system, lost. They monitored his progress. At first, he went in circles. Then he “discovered” a passage that took him well beyond what the Guardian considered their borders. The latest report had Bardulf nearing the dwarven mine settlement off to the northwest. When Ahearn asked about the Great Book that had gone missing, he was told it was started by the wizard Erlkyng with the intent it be presented to the “lad” to learn everything about defeating his enemies. He chuckled. Erlkyng expected the result of his magic would produce a son. They all thought that. But as fate would have it, a daughter was born! So everything Erlkyng wrote in the book addressed a lad. Until recently, the Tome of Wisdom had been safely stored away in the Crystal Caverns. “The Crystal Caverns were a refuge to the wizard Erlkyng,” one of the Guardians told him. Ahearn bade him continue, “We were good company for each other. Our kind live a long life and we’ve seen a lot. We shared with him many secrets that he found of use. He urged us to record all we knew into a great volume of knowledge. He told us this practice would give our lives purpose. We accepted his challenge and have been expanding the knowledge within Erlkyng’s book ever since. The Guardian of Wisdom became solemn and kept silent for a long time after he voiced those words. Indeed, the stealing of the Tome of Wisdom was something to ponder. If Bardulf was this powerful without the Tome, just imagine how much more powerful a book of secrets will make him. The Guardian was right. This news pointed to something much more devastating than a maiden forgetting she was a princess. He did not fully understand what the Guardian meant when he spoke of “Jasmine” being an intricate part of a decades long plan to defeat the evil that has been creeping down from the west. It further confused Ahearn when the Guardian spoke of her destiny as something beyond a princess. Didn’t her birthright matter? How could anything change the fact that she was the daughter of a King? As a prince, he himself knew very well he was subject to certain rules of tradition. He was subject to certain obligations expected of him by his father and those ruled by him How could this princess not be subject to the same rules? Thinking about the princess was always troublesome. Although she was fair to look at, he did not really like her. He considered her to be the worst type of maiden — spoiled, head strong, ill-humored, manipulative, and rude. Yet, he did not recognize the same traits in himself. The princess’s worth to him and his country was political. Her only redeeming quality as a person was the fact of her blood. All she had to do was to exist. She did not have to be deserving. She did not have to be nice. It would not matter. She would still be Queen. This entry was posted in Jasmine & Role Playing Games, The Creative Process and tagged Ahearn, Crystal Caverns, guardian of Wisdom, The Story of Jasmine on March 19, 2018 by Darlene. 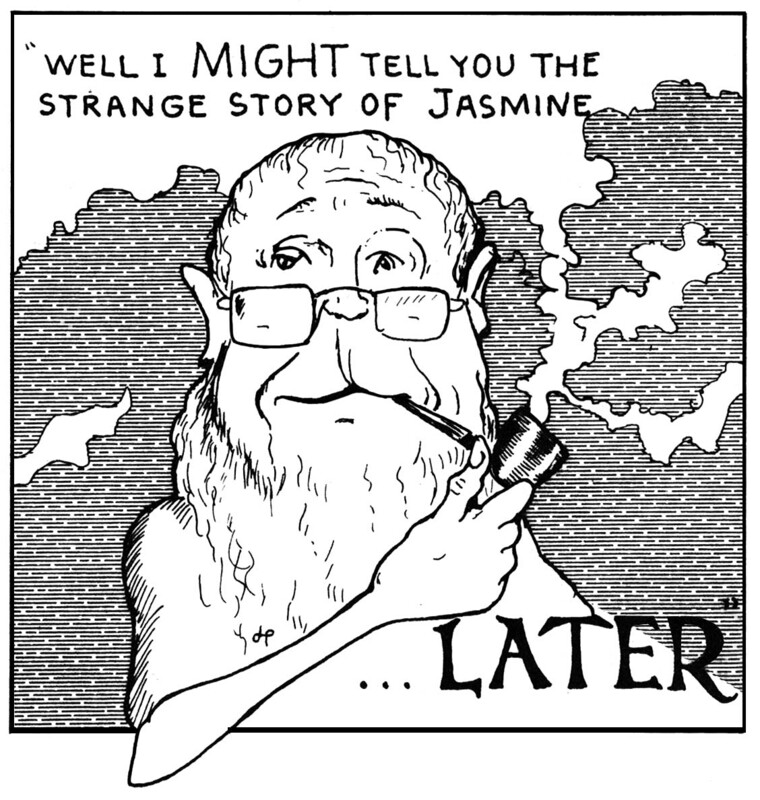 The Guardian of Wisdom makes an appearance in The Dragon Magazine some time before “The Story of Jasmine” begins. Our Story opens with fear and suspicion. She goes on her way. Two men find her and are going to capture her. Tall man comes from other direction. Panic. Tall man kills other two. Says her uncle sent him to help her. She’s skeptical, but doesn’t argue. This might have been an early draft. I have different name notations, an allusion to a tall man and the suggestion of an uncle. I seem to have two versions of the beginning: one with her nursemaid, Ermengarde accompanying her and this one, without mention of her. *A lot seems to go on in between this and the next bullet point. **King Attar? Is this Thorgall’s surname? *** Istaveer? I don’t remember this at all. This entry was posted in Jasmine & Role Playing Games, The Creative Process and tagged gnome, guardian of Wisdom, Jasmine, King Attar, The Story of Jasmine on February 22, 2018 by Darlene. I share the first of many notes scribbled over 30 years ago for the Story of Jasmine. The Guardian of Wisdom first appeared in 1980. I just made this fellow into a Greeting Card! 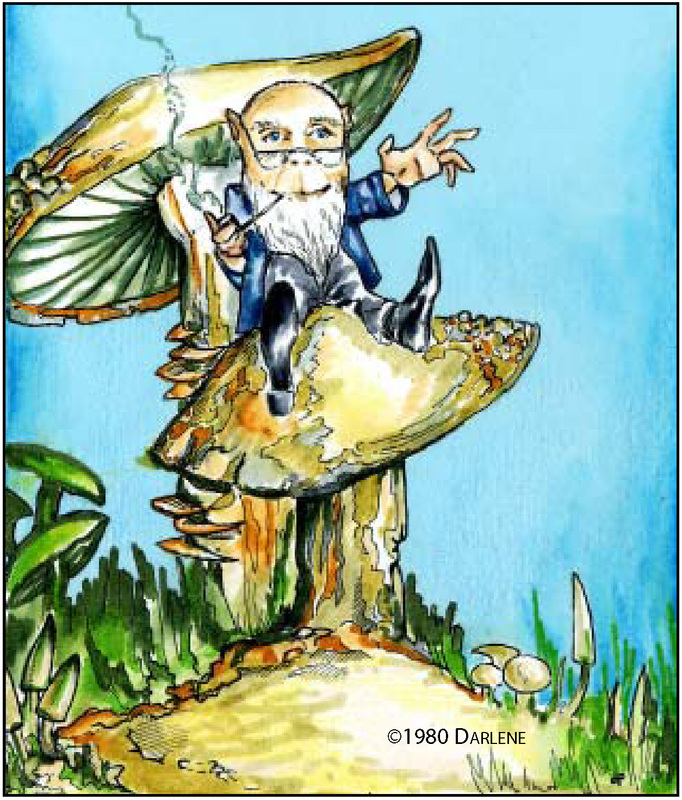 NOTE: I made The Guardian of Wisdom into a Greeting Card. He plans to grant three wishes to the receiver of the card. Hey, it’s only $4! The card is now available at my Zazzle Store. This entry was posted in Jasmine & Role Playing Games and tagged darlene, guardian of Wisdom, Jasmine, The Story of Jasmine on January 30, 2018 by Darlene.